Dreaming about an Italy trip in 2018 or beyond? I know from experience Italy is an amazing country to spend a week or a month in. Here I present my opinion of the the best places to travel in Italy. I’ve omitted most of the “big name” tourist destinations and instead opted to include some lesser-known spots that I love (and I’m sure you will too). Each year, just one Italian city is named the Italian capital of Culture. In 2018, that city is Palermo! 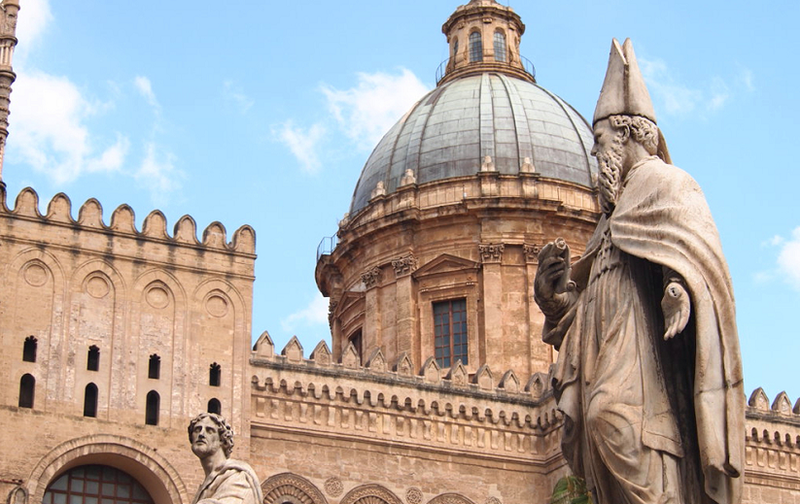 Palermo is on the Italian island of Sicily, and it’s hella fascinating. Talk about unique! Where else in the world do the Alps meet the Mediterranean? Since the area borders France, you’ll feel that cultural mix too. Hiking in the mist here is about as serene as it gets in Italy — even during the high season, you’ll have the well-marked trails to yourself. Perennially snow-capped mountains and glaciers tower over valleys filled with flowers, animals (like ibex, chamois, and wolves), and lakes. Lago della Vacca (Cow Lake) is slowly filling with scree (small broken rock fragments that are rolling down from the mountains), so there will be only a grassy plain here in the not-too-distant future. Be one of the last generations to enjoy this beautiful body of water in one of the most secluded spots in the Maritime Alps. The Maritime Alps are a mountain range along the border between France and Italy, immediately north of the Mediterranean Sea. This CNN article points out that there are several peaks over 3000 meters in height; Monte Argentera in Italy at 3297 meters is the highest. Within the region are the French Mercantour National Park and the Italian Parco Natural della Alpi Maritime. The peaks and ridges rise steeply above deep valleys. There are a few lakes, mostly man made. Super bella. Super tranquila. A more exotic Italy, with a pinch of Greek Islands. There’s an art to traveling Italy, and that is knowing what to do when. The biggest mistake foreigners make when planning an Italian vacation is not taking the season into enough consideration. I recommend the Aeolian Islands when the season is “on” — between Easter and October. During August, the Italians are on holidays there, so book well in advance or you’ll be sleeping on the steps of a pizzeria. The founder of Italian Fix, Bianca, threw her birthday party at Hotel Signum, one of the top hotel recommendations. The area has baby-powder-soft sand beaches, and it’s a hot spot for Italian vacationers (they call it La Costa degli Dei or the Coast of the Gods). It’s completely under the radar, virtually undiscovered by foreigners. The summer months in Italy get very busy in well-known beachy zones along the Ligurian and Tuscan coast, so it’s good to know some other spots where you can soak up the hot-weather vibe. Tropea is famous for its unbelievably sweet red onions. Head to Gelateria Tonino in town for their red onion ice cream! You can also travel to the island of Stromboli by boat to see the exploding volcano at night. Matera is a wise addition to your Italy trip. After all, this might be the last year that it can truly be considered “off the beaten path” — it’s been named European Capital of Culture for 2019, which will no doubt hotfoot it right onto the world’s radar. Go anytime before then and you’ll have the caves to yourself. In drizzling winter or in peak season summer, this place is nothing short of impressive. What’s so special about it? Two words: cave dwellings. This is one of the few places on the planet that has been continuously inhabited since Paleolithic times. Paleowhaaaat? Just means these digs are old! The Sassi is a district in Matera characterized by 1500 prehistoric cave dwellings that were home to its inhabitants for thousands of years, until as recently as the 1950s. The caves lay abandoned for decades until a group dedicated to restoring them stepped in and began to clean them up. By 1993 they had been declared a UNESCO World Heritage Site. Little by little boutique hotels, restaurants and bars started to open up right in the caves themselves. Matera only just started to become a real tourism destination in 2014 — a mere four years ago! That’s virtually unheard of in Italy, one of the most visited countries on earth and home to places like Venice, which are practically (and literally!) sinking under the weight of the visitors that tromp through every year. 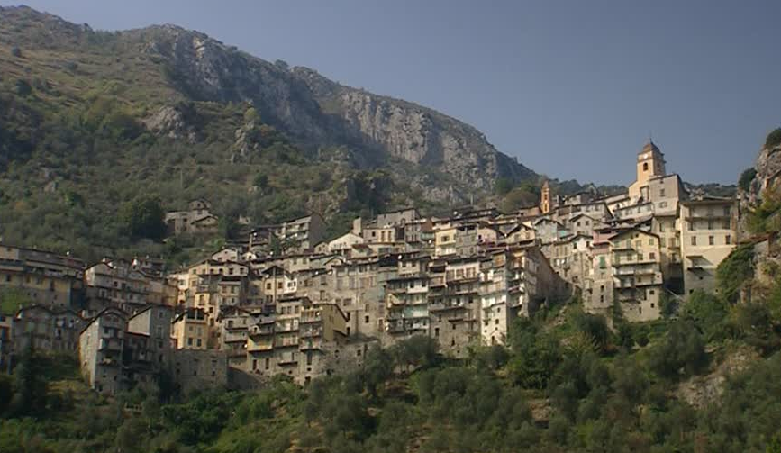 Matera is located in Basilicata, right in the “instep” of the boot — notoriously one of the least populated and least visited regions in the country. So if you’re looking for that elusive place that’s ooh-la-la gorgeous but mostly untouched by modern tourism, Matera might be your jam.